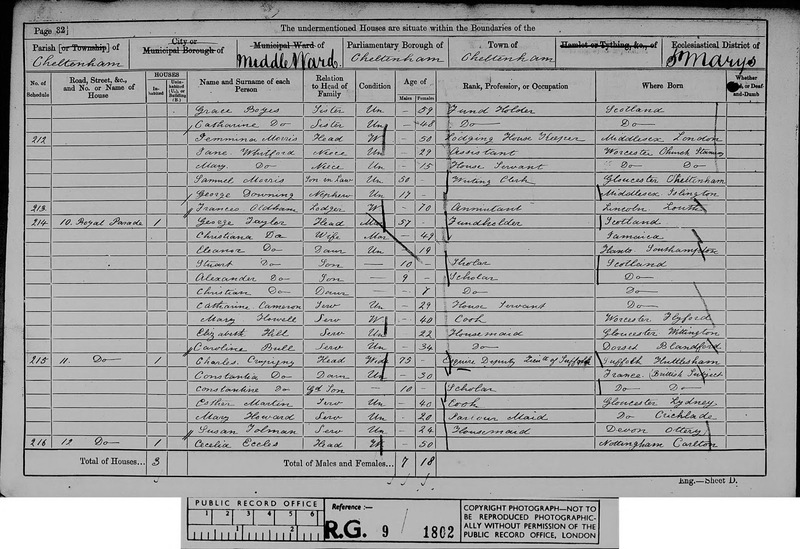 Guy Mainwaring (1847-1909), my 4th great uncle, was the 15th of the 17 children of Rowland Mainwaring (1783-1862), sixth of the eight children of Rowland’s third wife Laura Maria Julia Walburga Chevillard (1811-1891). 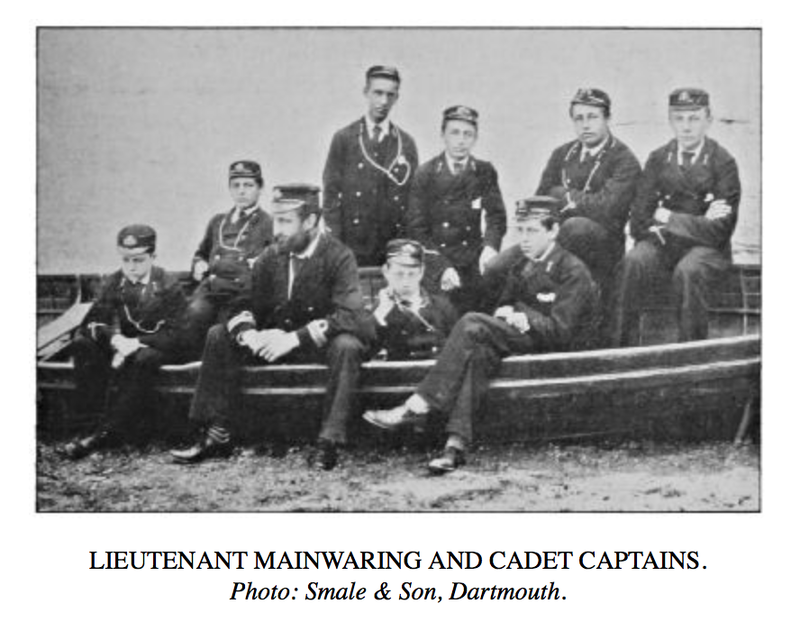 Mainwaring joined the navy on 11 September 1860 at the age of 13. 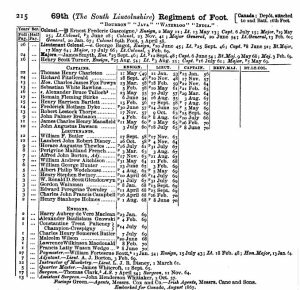 On the 1861 census he is recorded as a naval cadet on the training ship HMS Brittania in Portsmouth Harbour in the south of England. A picture of Lieutenant Mainwaring (standing towards the stern) with cadets from HMS Britannia, including the Duke of Clarence and the Duke of York, from The Story of the “Britannia”, by E. P. Statham, 1903. Project Gutenberg has this book. In his book on the Britannia pack, Sir James Eberle suggests Guy Mainwaring may have been a little bored and just wanted to have a little local sport and founded a hunting pack. Jim was a terrier belonging to Mr Evans, the First Lieutenant of HMS Britannia. Jim with his son Jimson and about six other dogs formed the first pack with Lieutenant Mainwaring as master. They would hunt anything that could be found including a drag which was a rabbits skin soaked in herring oil. 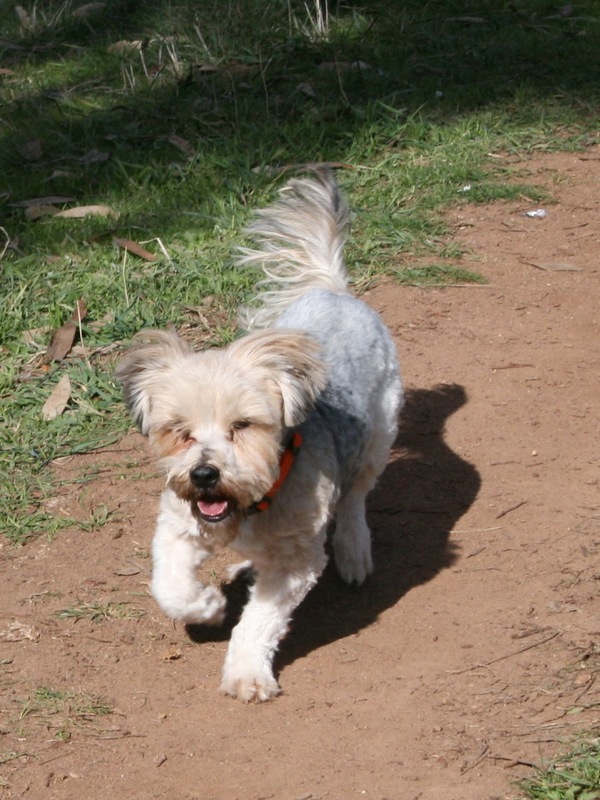 Other dogs in the pack may have been named Flirt, Rummager, Magpie, Bird, Beauty, Countess and Rattler. In 1879 Lucy, the first hound was purchased from a Mr Cartlich of Staffordshire. In 1880 Homeless, a beagle, was acquired from the Battersea lost dogs home. In 1881 Lieutenant Mainwaring left HMS Britannia. He was succeeded as master of the pack by Lieutenant Furlonger. Jim, the founding member of the pack, died in 1886. His grave is in the grounds of the Royal Naval College. The pack still seems to be going strong with a puppy from the pack being named Regent by the Princess Royal in 2013. In 2016 Bonhams Auction House sold a chest containing papers and photographs of Guy Mainwaring. The contents included a silver hunting horn presented to Mainwaring by the whips of the Britannia Beagle pack. Eberle, James. 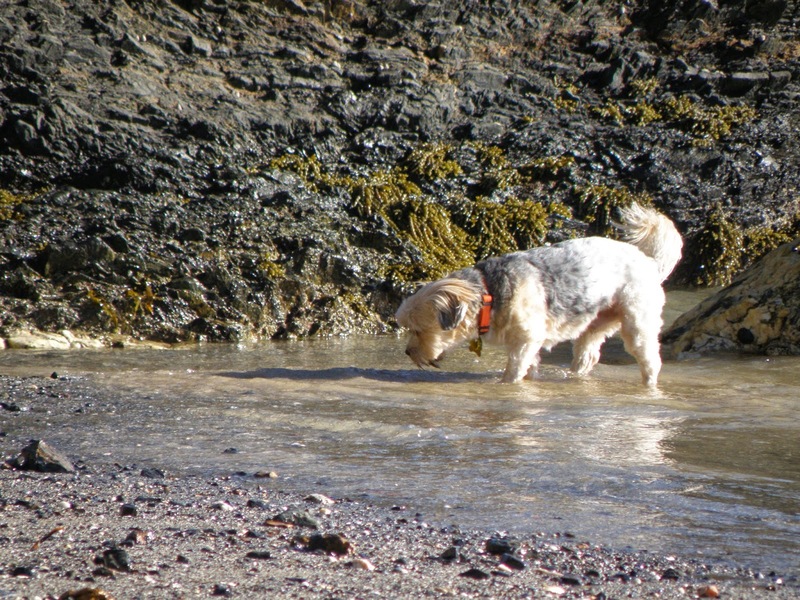 Jim, First of the Pack: A History of the Britannia Beagles during One Hundred Years of Hare Hunting in South Devon, 1878-1978. London: J.A. Allen, 1982. 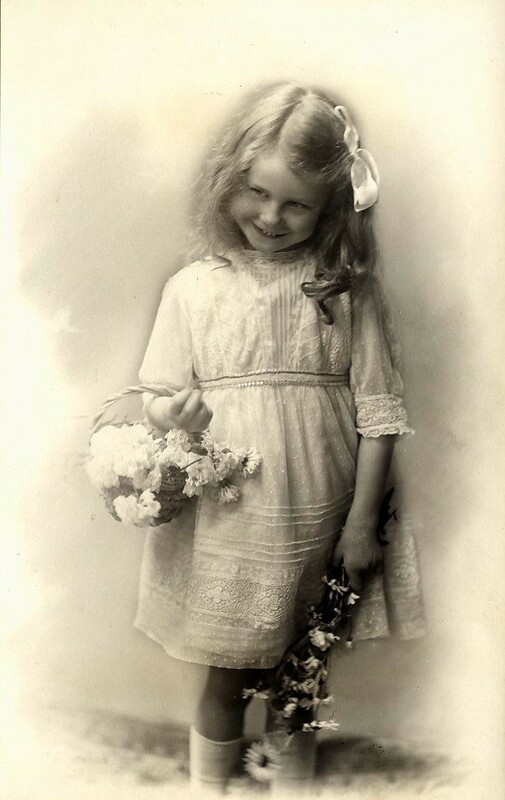 Kathleen Cavenagh née Cudmore was born on 27 June 1908, the second daughter and second child of Arthur Murray Cudmore (1870-1951) and his wife Kathleen Mary née Cavenagh-Mainwaring (1874-1951). Her sister Rosemary had been born in 1904. Arthur Cudmore, second son of James Francis Cudmore (1837-1912) and his wife Margaret née Budge (1845-1912), was born on 11 June 1870 at Paringa Station on the Murray near Renmark in South Australia. Arthur’s grandfather, Daniel Michael Paul Cudmore (1811-1891), had emigrated from Ireland in 1835 and after a period in Tasmania arrived in South Australia early in 1837, a few weeks after its proclamation on 28 December 1836. His wife Mary née Nihill came from Hobart to join him later that year, and James Francis was born at sea on the ship Siren off Kangaroo Island on 11 October 1837. Daniel Michael Paul first worked as a labourer in South Australia, but then founded a brewery, and from the late 1840s he began to acquire pastoral land and took up a large number of properties. His son James Francis continued the policy, extending his interests into Queensland in partnership with Robert Barr Smith and Thomas Elder, and by the 1870s he was one of the wealthiest men in Australia, controlling hundreds of thousands of sheep and cattle; his great house, “Paringa Hall” near Glenelg, built in the early 1880s, is a monument to his success. In the late 1880s, however, the arrival of rabbits had devastating effect upon the various stations, and James Francis was in serious financial trouble. He transferred some property and arranged to compound his debts, and though he was still in difficulty at the time of his death in 1912 a life insurance policy and the sale of Paringa Hall after Margaret’s death a few months later more than covered his obligations. They were still comparatively wealthy, but James Francis and Margaret left eleven children, and the inheritance was divided. Though Arthur Cudmore maintained the family connection to the land, his profession was medicine. Graduating from Adelaide University in 1894, he travelled to England for further training and became a Fellow of the Royal College of Surgeons in 1900. His future wife Kathleen Mary née Cavenagh-Mainwaring was also born in Adelaide, and her brother Wentworth (1869-1933) was a friend and colleague, but Kathleen Mary was four years younger than Arthur, and the couple became closely acquainted only while they were in England during the late 1890s. Kathleen Mary had hoped to remain there, but Arthur insisted on returning to Australia, and they were married in Melbourne in 1901. The Cavenagh-Mainwaring family had a long connection with Whitmore Hall in Staffordshire, which is recorded in the Domesday Book of 1087, and which has passed by inheritance ever since. Kathleen Mary’s mother Ellen Jane née Mainwaring (1845-1920) inherited the estate in 1891, and the family then travelled to England. Ellen Jane’s husband Wentworth Cavenagh (1822-1895) had been a minister in the South Australian government, and in 1892 the couple took the combined surname of Cavenagh-Mainwaring. Whitmore Hall itself was leased out, and it was not until 1928 that their son James Gordon (1865-1938) took up residence, with his son Rafe Gordon Dutton (1906-1995) as manager of the estate. Kathleen Cudmore’s family was well established in South Australia, with many connections by marriage; she would later claim to have ninety-two cousins, but that her mother quarrelled with all of them; the figure was actually closer to fifty. Besides any inherited money, Arthur Cudmore developed a substantial practice; there were few doctors with such high qualifications, and he became Honorary Surgeon at the Adelaide Hospital in 1904. 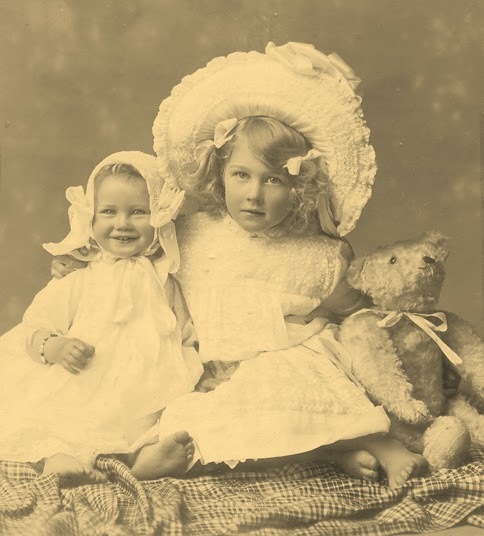 In 1910, when Kathleen was two years old, he moved into a large house at 64 Pennington Terrace in North Adelaide, directly opposite the parklands. Beside the house itself, there were a number of small cottages on the property, most of them demolished to allow for gardens and a tennis court, while a few were adapted to form a large garage. Arthur had one of the first cars in Adelaide, and when registration was introduced in 1906, he took number SA 4; it was later transferred to Kathleen and remained in the family for a hundred years. In 1915 Arthur went to the Middle East with the Third Australian Hospital and was stationed on Lemnos, base for Gallipoli. He was invalided home with typhoid in the following year, but went back to serve in France from 1918 to 1919. It seems fairly clear that while Kathleen Mary Cavenagh-Mainwaring had been prepared to return to Adelaide with Arthur Cudmore, she did obtain an agreement that they would return frequently to England, which she referred to all her life as “home” – not uncommon among colonials of her generation. The family were in England before the First World War and young Kathleen’s diary of 1924 describes how she was at Beaulieu near Nice in the south of France on 1 January, returning to Allenswood later that month. She stayed there, taking holidays with her parents in London and at Broadstairs in Kent, until the family left to return to Australia in July. This was one of many such visits to England and Europe, and Kathleen remarked in 1960 that she had been through the Suez Canal at least twenty-five times. In addition, there were a number of trips to Ceylon/Sri Lanka: it was an agreeable custom to take passage on a liner bound for England, disembark at Colombo and take the next liner back home; the effect was the same as a modern cruise. Kathleen was always most attached to her father, who was a considerable sportsman: he played Australian football as a young man at league club level, his family background made him a good horseman and a good shot, and he was a talented golfer. Kathleen played golf from an early age, rode horses in competition, and also learnt fencing and played hockey. She remarked in a later interview that when she was young she would often play golf in the morning and go riding in the afternoon – or riding in the morning and golf in the afternoon. From this alone one may judge she had a privileged life: there were always maids and other servants to keep things tidy at home, she played regularly with the professional, Willie Harvey, at Royal Adelaide Golf Club, and she had her own car to get to her various engagements – her father was President of the Royal Automobile Association of South Australia and she herself got her driving licence at the age of sixteen; she held it until she was over ninety. Horse-riding was based on the stables owned and run by Miss Roach in Prospect, where there was comparatively open country north of Adelaide; she was a good friend and Kathleen gave lessons for her to those more junior or less experienced. 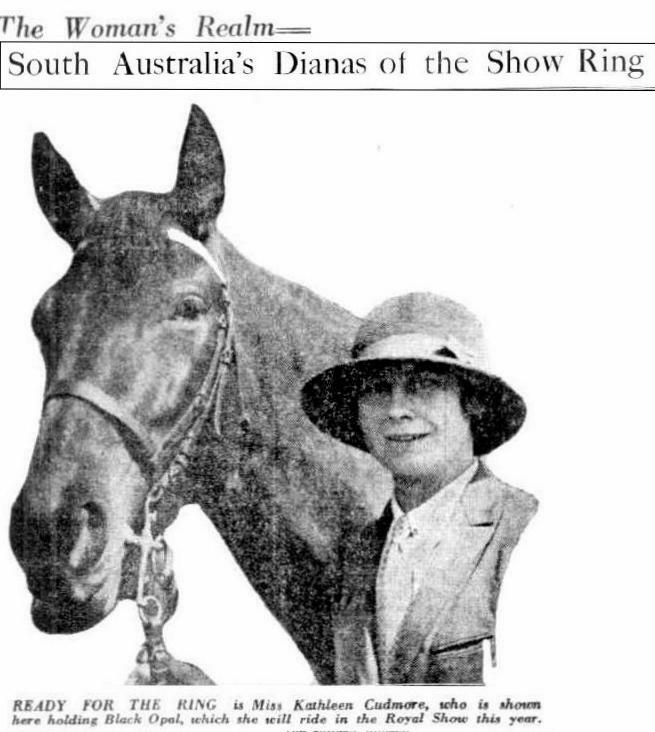 Her favourite horse was Black Opal, and among other events she won a blue ribbon at the Royal Adelaide Show of 1929. Her main achievements, however, were in golf: she won the Associates competition at Royal Adelaide in 1931, and she was Ladies Champion of South Australia in 1934. Kathleen was a good-looking young woman: blue eyes, brown hair and a fine complexion. A popular satirical newspaper, the Melbourne Truth, described her as “Adelaide’s pastel,” which was somewhat of an exaggeration, but the fashions of the 1920s and the opportunities for outdoor exercise suited her, and she remained active and kept a trim figure all her life. 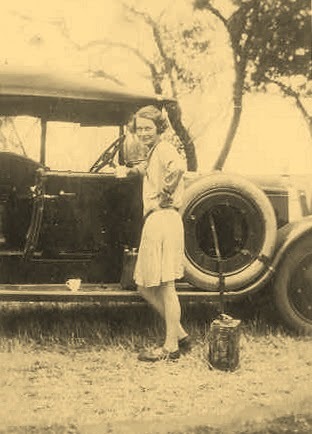 Despite an air of “flapper” frivolity, Kathleen was a tough competitor in any sport, particularly at golf. She once told her daughter-in-law that you should never concede a putt; there was always a chance your opponent might drop dead. To win her South Australian Championship in 1934 she sank two long putts on the last two holes in wind and driving rain. At the same time, Kathleen was very conscientious and always agreeable. She had a charming smile and, although she was shy, that characteristic made her all the more attractive. She never spoke unkindly of her friends, she did not gossip, and if anything she preferred not to discuss or to remember things which had angered or upset her – she did not hold grudges. Loyal and reliable, people trusted her, and she held leading positions in several different institutions. After graduating in 1930, Geoff returned to Adelaide to spend the compulsory year as Resident Medical Officer at the Adelaide Hospital [renamed the Royal Adelaide Hospital in 1939]. Given his time at Geelong and Melbourne, it is uncertain how much he and Kathleen had seen of one another before, but both fathers were leaders of their profession and had worked together on a number of cases. 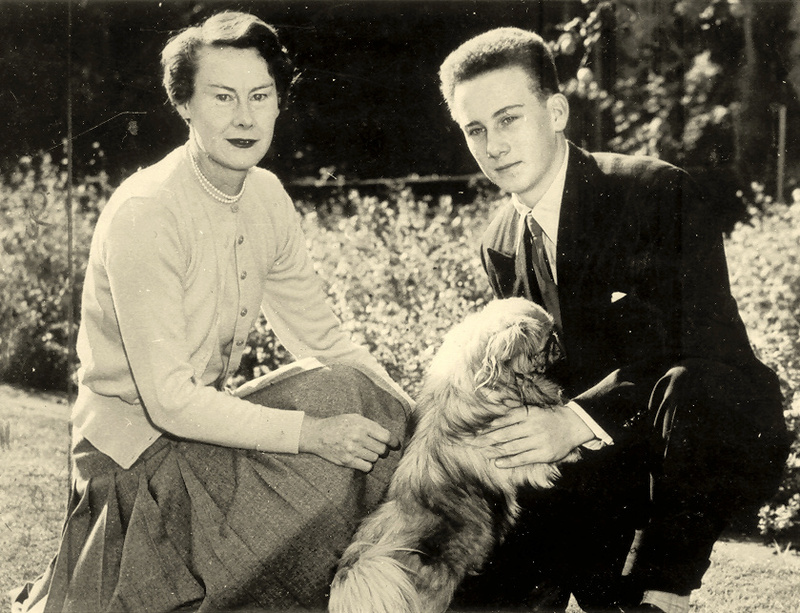 One major contact was between Kathleen and Geoff’s sister Nancy (1910-2003): though they were two years apart, and Nancy had a degree in archaeology – her husband Hallam Movius would become a professor at Harvard – the two were close friends and remained so until Nancy’s death. For his part, Geoff said later that he fell in love with Kathleen from the first, and never thought of anyone else. In 1932 both Kathleen and Geoff were in England, Kathleen spending time with her sister Rosemary, who was now married to her cousin Rafe Cavenagh-Mainwaring, and Geoff studying in London. Geoff was a frequent visitor to Whitmore, and served as cameraman for the amateur film A Run for his Money, which was set in Whitmore and had Kathleen as the beleaguered heroine with fluttering eyelashes: Rafe played her plutocrat father and Rosemary was a conniving vamp: there were elements of casting to type. 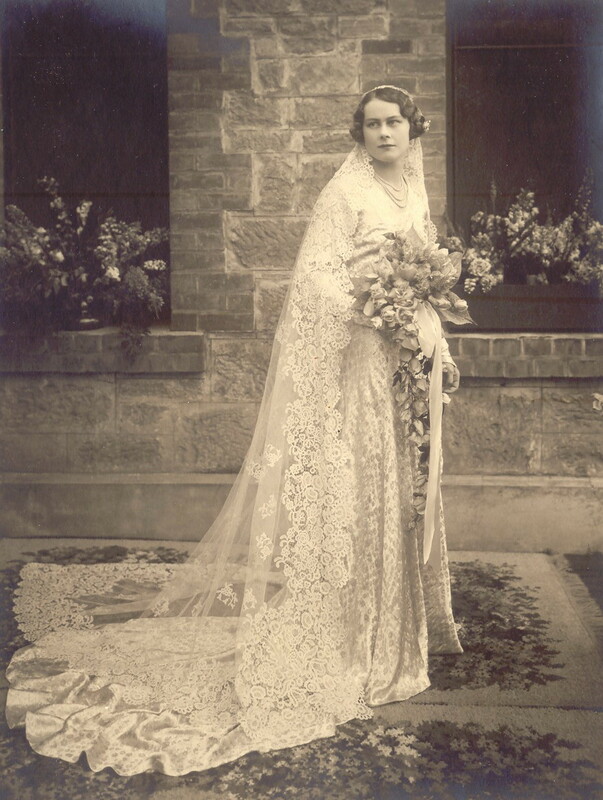 On 10 June 1933, Kathleen and Geoff were married in Adelaide Cathedral. It was a grand formal wedding: the bride wore a long white gown and a lace veil, the groom was in morning suit, and local newspapers celebrated the union of two distinguished medical families. As a young married woman, Kathleen led an active social life in Adelaide. She continued to play golf, and after her success in 1934 she was defeated in the final of the South Australian Championship in 1935. Following Rafe’s birth in 1936 she continued to play in competitions, but did not reach that level again. Otherwise, she was a member of the Queen Adelaide Club, had some overseas travel, and was involved in charities, including her mother’s interest in the Missions to Seamen and her father’s in the Friends of the State Library – which was suffering from a lack of government funding due to the Depression – and the usual concerns of a new household and a new child. In 1937 Kathleen’s sister Rosemary and her husband Rafe visited Australia for some months, returning to England in January 1938. Their son Guy, born in 1934, had come with them but then stayed behind in the care of his Cudmore grandparents, and early in 1939 Kathleen took Guy back. She was away for several months, returning through Boston in the United States to visit Nancy Movius. Kathleen and Rafe in 1940. This photo was damaged by a bomb blast in Tobruk. When the Second World War broke out at the beginning of September 1939, Geoff felt obliged to join the army. While some doctors would stay behind to care for civilians in Australia, both Geoff’s father and his father-in-law had served in the previous war and still held reserve commissions, so family tradition and his position in society made the decision all but inevitable. Geoff enlisted in November, and a few days later he left for Melbourne and was stationed at Puckapunyal near Seymour in Victoria for further training. 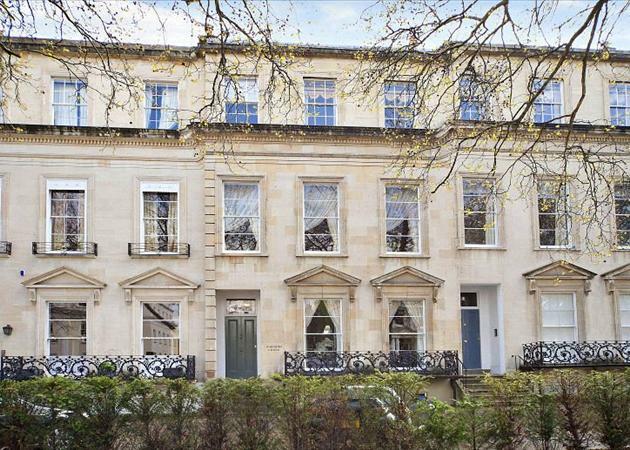 The practice was contracted out, and as the new incumbent took up residence in the house on Main North Road Kathleen was left without a place of her own. For the time being, she stayed at the beach house near Grange, with visits to her parents’ house in North Adelaide, but the situation was difficult and money was tight. 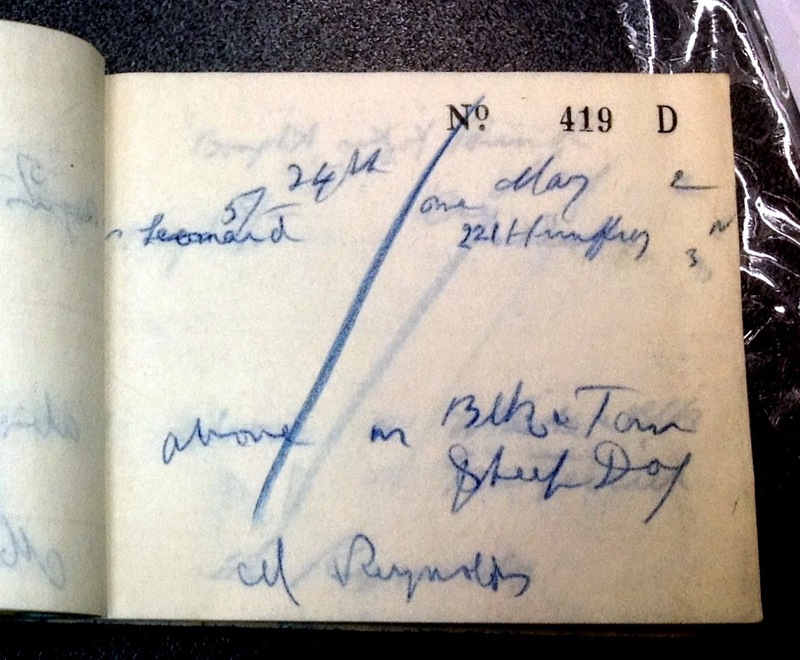 (Handwritten calculations by Geoff at this time indicate that he expected a net income of £725 per annum from the rent of the practice together with his own pay as a Captain in the army, while estimated expenses were £750 “probably reducible to £700”. ) She was able to come with Rafe to join Geoff in Melbourne and for a few weeks in Sydney, so the family had some time together before Geoff sailed for the Middle East on 15 April. He was three years overseas, including nine months under siege in Tobruk from January to October 1941, and Kathleen did not see him again until the beginning of April 1943. Returning to Adelaide, Kathleen found accommodation in an apartment in the complex at Prospect House in North Adelaide, on the junction of Pennington Terrace and Palmer Place by Montefiore Hill, a short distance up the hill from her parents’ house. After Geoff’s return from the Middle East in 1943, he was stationed for a time in Sydney, where Kathleen and Rafe went to join him for a few weeks, and then in central and Western Australia. 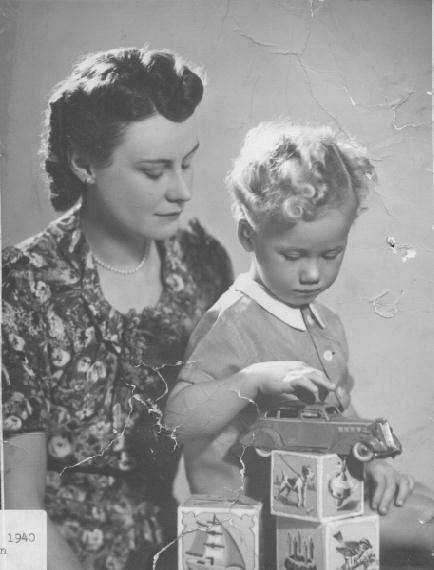 Kathleen was able to spend six months with him in Perth, and she joined a program there for the rehabilitation of wounded and disabled soldiers, assisting them to sew toys and stuffed animals; she was later a member of a committee in Adelaide which checked on the suitability of manufactured toys for children, including such problems as lead-based paint and sharp edges. Geoff later served in New Guinea, but was invalided out with malaria and thereafter held appointments in Australia, though not in Adelaide, which he visited only on leave, notably when his mother Beatrix died in November of 1943. Also in 1943, with encouragement from Beatrix, Kathleen became a member of the committee of the Mothers and Babies Health Association, and began a long association with that organisation. She succeeded her mother-in-law as Honorary Treasurer, and was senior Vice-President from 1955. The MBHA had been founded by Dr Helen Mayo in 1909 with the object of assisting mothers to care for their infant children, and so reduce the rate of infant mortality. The basic concept was comparatively simple: all new mothers were encouraged to bring their children at regular intervals to MBHA clinics, which were staffed by trained mother-craft nurses. Each child was weighed, its general progress was checked, and the nurse would offer such advice, assistance or referral as might be needed. Visits to the clinics were something of a social event, babies were admired and their weights were compared, while it also meant that the vast majority of children in South Australia were under regular medical inspection. At the beginning of the century infant mortality in South Australia had been 100 per thousand, but by the late 1930s it was 30 per thousand and it fell below 20 per thousand in the 1960s; it is now less than 5 per thousand. Much of this development was a matter of improved medical technique, inoculating against many infectious diseases, and general advances in hygiene, and while the MBHA took credit, some modern historians claim that its role was marginal at best, arguing that it was a conservative and authoritarian organisation. On the other hand, it seems difficult to suggest that a regular check of babies’ health was actually a disadvantage, and many mothers were certainly glad to have some support and guidance in what was a new and often rather frightening experience. The MBHA is surely best seen as part of a broad program of public health which was effective and well-regarded in its time. It was a substantial enterprise, with hundreds of branches and buildings all over the state, heavy costs and investment in the local centres and their attending nurses, and a headquarters and training centre in Adelaide. There were also “Baby Health Trains” – carriages set up and transported by South Australian Railways, which took the service to outlying places where it was impracticable to establish permanent offices. Formally a charitable organisation, it was nonetheless heavily subsidised by the state and local governments, so that in 1952, when Kathleen was Honorary Treasurer, almost £20,000 of a total income of £38,000 came from official sources, with the bulk of the balance made up of donations, subscriptions and other fund-raising; total turnover was close to $3 million in 2013 values. In 1978 the MBHA was incorporated into the South Australian Department of Health, and Kathleen’s work is now carried on by a senior civil servant. In the New Year honours of 1945 Arthur Cudmore was made a knight bachelor, and later that year Geoff came back from the war. As the family returned to 260 Main North Road, Kathleen continued her charity work, and she also became a member of the committee of the Queen Adelaide Club and was President from 1950 to 1952. The Club was formally a registered company, with a board of directors who had hitherto been all men, but when Kathleen retired as President she was appointed to the Board and became its Chairman in 1980. Although an amateur, she was now an experienced administrator, and in later years she held leading positions in many different organisations. Beside the MBHA, she was Chairman of the local Victoria League and – as below – she became strongly involved with the RSPCA. One part of charity work was the annual badge day, when organisations took it in turn each week to raise money in the city. Basically rather shy in unstructured situations, Kathleen did not particularly enjoy standing on street-corners by the hour seeking support from passers-by on a Friday morning. On one occasion at least a kindly man stopped to purchase one of the most expensive that was for sale, remarking that she looked so woebegone she reminded him of his cocker-spaniel, and he felt he had to encourage her. Her social life was largely based on such social and charitable activities, and the people she met and worked with were commonly from the same families and background as herself. 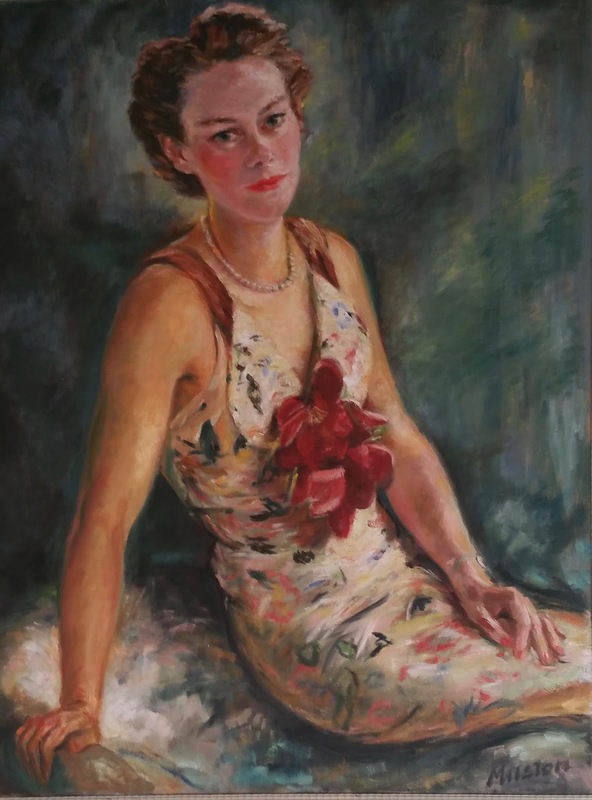 She did have some special and different friends, notably Hannes and Marlis Thiersch, who came from German background and arrived in Australia during the 1930s. Hannes was a member of the Medical and Veterinary Research Institute, founded by Constantine Trent Champion de Crespigny, and was later involved in development of the contraceptive pill in the United States; Marlis later took a doctorate and became a lecturer in drama at the University of New South Wales. Other friends included the future Chief Justice John Bray and the lawyer Norman Tucker; Jack Smart, who was professor of philosophy at the University of Adelaide and later at the Australian National University; Archer Kyffin “Tiddy” Thomas who was editor of The News in Adelaide and later of the Melbourne Herald, and his wife Judy; and, from the early 1950s, Edith and Eric von Schramek, who had come as migrants from Czechoslovakia: Eric became a noted architect. 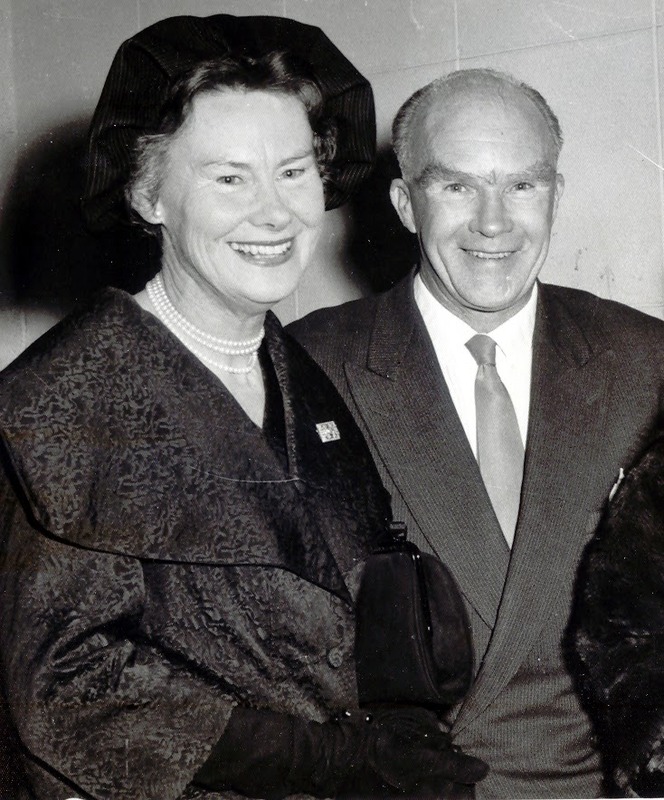 Neither Kathleen nor Geoff were strongly artistic, but they regularly attended concerts, ballet and films, they were good ballroom dancers, they were early sponsors of the Adelaide Festival of Arts, first held in 1960, and Kathleen was an enthusiast for the theatre all her life. Omelettes were always useful, and she was enthusiastic about stew, being fairly simple – the stew was occasionally enhanced and made exotic by the addition of bay-leaves. Desserts were a little more interesting: she was good on chocolate mousse and on hot chocolate sauce for ice cream, she made excellent short-bread biscuits, and she used her influence at the Queen Adelaide Club to acquire their special recipe for barley-water. There was also a very good Club Cocktail: a quarter gin, a quarter sweet vermouth, half dry vermouth and a splash of lime juice; lime juice concealed the full effect of the other ingredients. Geoff’s practice in Prospect and Enfield began to develop as new houses were built in the area and settlement expanded to the north. In 1948 Kathleen’s sister Rosemary and her son Guy came from England for a year, and in 1950 she and Geoff made a long visit to Europe, spending time at Whitmore in England, with Geoff’s sister Margaret (1919-1989), now married to Cornelius in’t Veld and living in Holland, and with Nancy and Hallam Movius in Cambridge, Massachusetts. 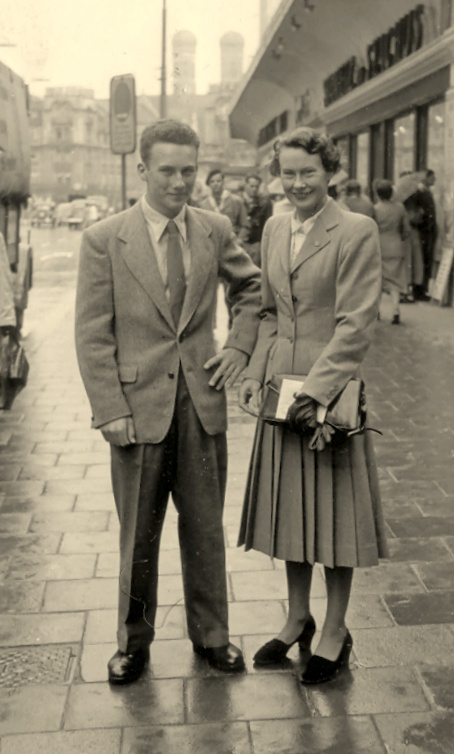 After Rosemary and Guy had visited once more in 1953, there were a series of extensive overseas trips: in 1954 Kathleen accompanied Rafe to England as he entered Cambridge University; in 1956 she went with Geoff to Europe; and in 1957 she went again to Europe, returning with Rafe as he left Cambridge. In 1953 Geoff became a Fellow of the College of Physicians. He had an increasing interest in pediatrics and children’s health – presumably in part influenced by the involvement of his mother and of Kathleen in the Mothers and Babies Health Association, and he became a founder of the Pediatrics & Child Health Division in the College. During the visit to Europe in 1956 he attended the International Congress of Pediatrics in Copenhagen, and that was followed by similar meetings in Portugal and Indonesia. In 1965, when he and Kathleen went to the Congress in Japan, the family received letters from each of them, written at the same time on board ship: Geoff wrote with delight about sailing into the Inland Sea with the loudspeaker playing “Colonel Bogey” [theme song of the 1957 film Bridge on the River Kwai]; Kathleen complained that it had been a long and boring voyage. Between the occasions of overseas travel, there had been major changes to life in Adelaide. Kathleen’s parents both died in early 1951, within a few days of one another, and she and Geoff moved into their former house on Pennington Terrace in North Adelaide. 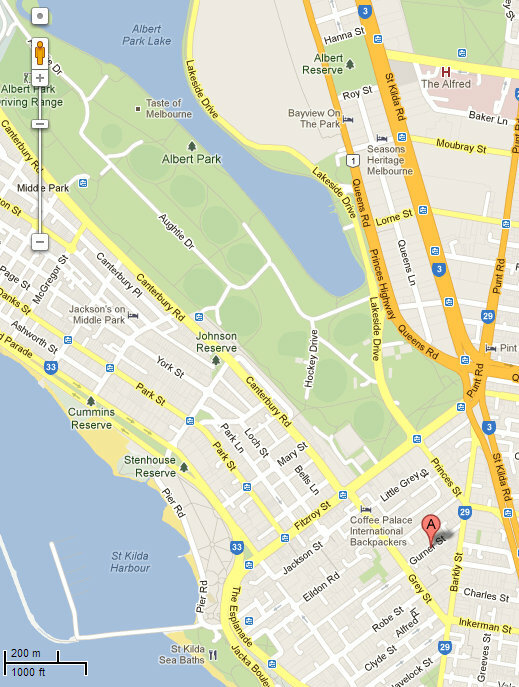 Geoff’s father died in October 1952, and Geoff transferred his practice to rooms in the city. In 1955, however, they left North Adelaide and went to live in the house by the beach at Grange; remodelled and slightly enlarged, it was Kathleen’s home for the next fifty years. In 1960 Geoff was President of the South Australian Branch of the Australian Medical Association, and he largely retired from private practice to become the Medical Director of the Mothers and Babies Health Association. Kathleen’s family always had animals, and soon after their marriage she and Geoff had a dachshund, Max, and a Pekingese named Bubbles or Buds. 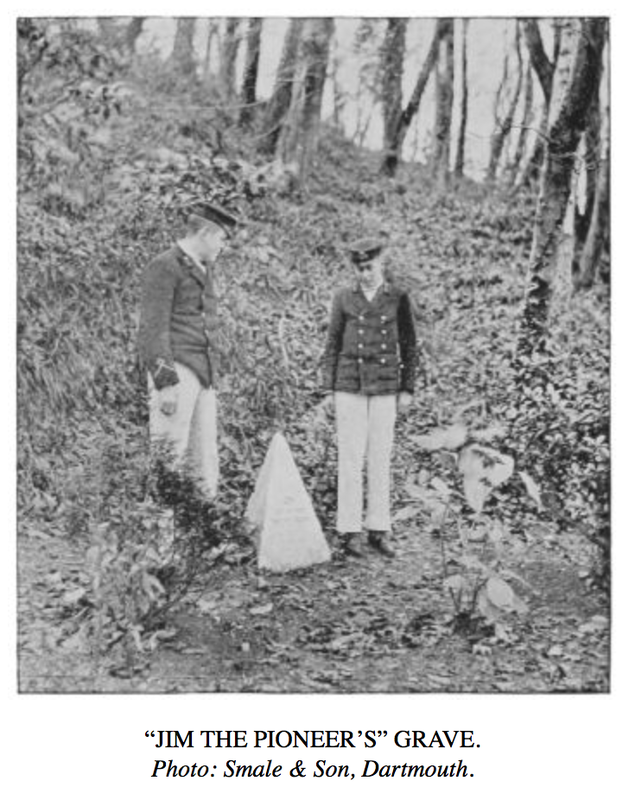 Both died of distemper during the war, and the first replacement, Fritz or Chips, was run over on Pennington Terrace; his sister Antonia – better known as “Mrs Tone,” came to take his place. An elegant but temperamental brown dachshund, she lived into the mid-1950s, and she was joined in 1946 by another Pekingese, called Bernard from the second name of Hannes Thiersch who had given him. Son Rafe was very fond of cats, and the appropriately-named Biffer was an equally long-lived contemporary of Mrs Tone. When Rafe turned sixteen in 1952 he was allowed to obtain a driving licence, and as Geoff was giving him a lesson on a country road just outside Adelaide he saw trap-pigeon shooting in a field nearby. In this system, pigeons were caught alive, then placed into cages with springs at the base, and on command the spring was released and the bird was thrown into the air as a target for shot-guns. “Clay-pigeons” perform the same function, but it was considered better entertainment if the birds were alive. Geoff mentioned the incident to Kathleen, who was furious and resolved to do something about it. She joined the RSPCA and embarked on a campaign to have the practice forbidden. It was not easy, for the long-serving government of Thomas Playford had many country supporters who saw trap-shooting as a sport, but at the end of 1954 a private member’s bill introduced by the Labor member for Prospect passed both houses of state parliament. Kathleen was by that time a member of the general committee of the RSPCA and she continued her involvement with that organisation and others associated to it. 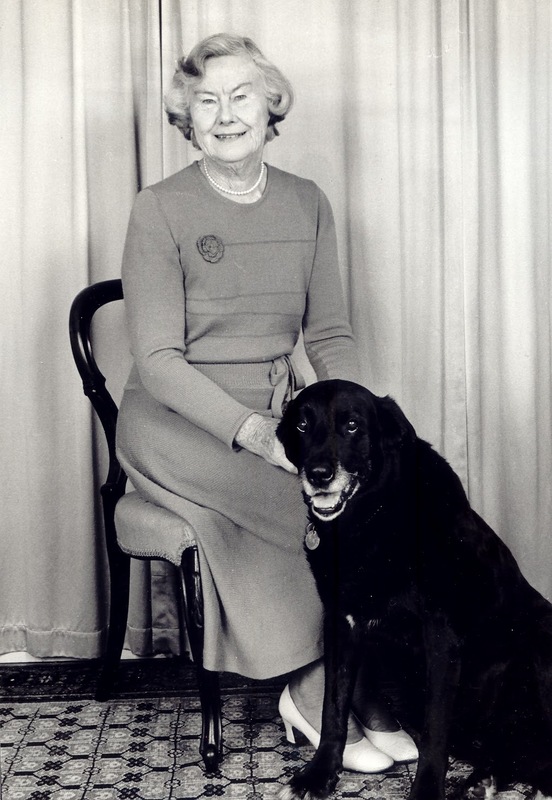 Chairman of the RSPCA from 1965 to 1975, she was then President until 1990, and when she retired from that position she became Vice-Patron, second to the Governor of South Australia. Following Cambridge, Rafe went to study Chinese in Canberra, and in 1959 he married a fellow student Christa Boltz; their first child Anne was born at the end of that year. Born in Berlin in 1939, Christa spent the war years in Germany and came to Australia at the age of ten. Her father Hans, a geological cartographer, was brought out by the government to assist in the exploration for minerals, and he became chief cartographer in the Bureau of Mineral Resources. Canberra was a very small town, and neither Christa nor her mother Charlotte found it easy to adjust, but after their marriage Christa and Rafe spent university vacations – almost half the year – in Adelaide. Christa speaks of the extraordinary contrast from Canberra to Adelaide, where she was introduced to clubs and parties, played golf and tennis and watched the cricket, and was treated by Kathleen and Geoff as if she were their daughter. It made no difference that Geoff had been engaged in the war with Germany: the two families were always friendly; Christa’s young sister Margaret came to stay in Adelaide; and Christa found a way of life with Kathleen and a role-model to admire. Rafe and Christa’s second child Mark was born in May of 1963, and when Rafe gained appointment as Lecturer at the Australian National University Kathleen and Geoff bought them a house in Canberra. They continued to visit Adelaide each year, but at Christmas 1965 Geoff was taken ill with the effects of a brain tumour. He died in February 1966 at the age of 58. In the latter part of 1966 Kathleen travelled with her friends the Thomases, visiting Geoff’s sister Nancy Movius in Boston and Rosemary Cavenagh-Mainwaring at Whitmore. On 30 March 1967, at a small ceremony in Box Hill, Melbourne, she married George Symes. George William Symes (1896-1980) was a retired Major-General of the British Army. During the First World War he was commissioned as a Captain in the York and Lancashire Regiment, served in the Machine-Gun Corps in France and in Italy, and was awarded the Military Cross and Bar. 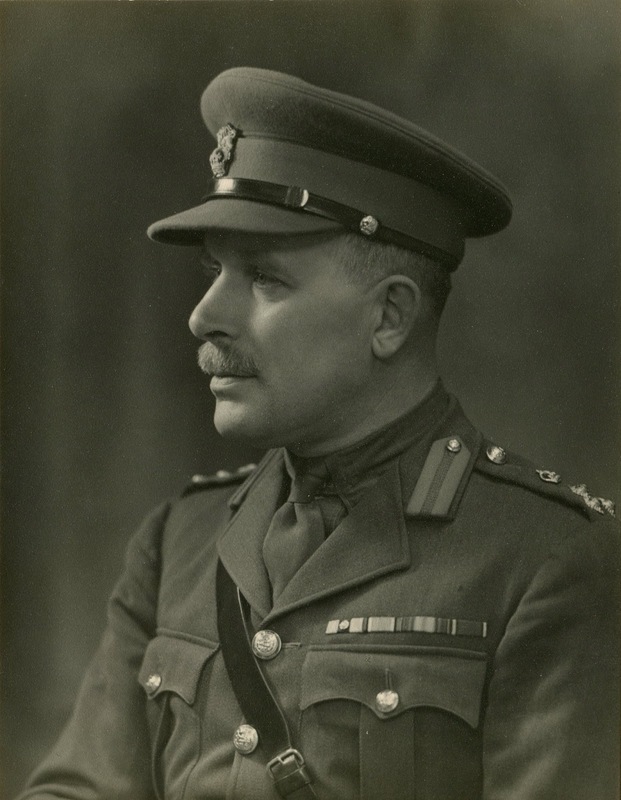 During the 1920s and 1930s he remained a professional soldier, and at the outbreak of the Second World War he received rapid promotion, being appointed Major-General in command of the 70th Division in Africa and then in India. By very ill luck, however, the 70th Division was transferred to form part of the “Chindit” Special Force under Orde Wingate, designed to operate behind the Japanese lines in Burma. George became deputy, but was stationed at New Delhi, and when Wingate was killed in an air crash in 1944 George was passed over for a closer associate and his active career was at an end. He held command of Lines-of-Communications divisions in France and later in Burma, and after the war he was commander of the South-West District in England, but in 1949 he resigned his commission and came to Australia. George’s first wife Katherine née Lucas came from an Adelaide family. He had met her on a visit to Australia, and they were married in Bombay in 1939. Katherine died in 1961, and they had no children. 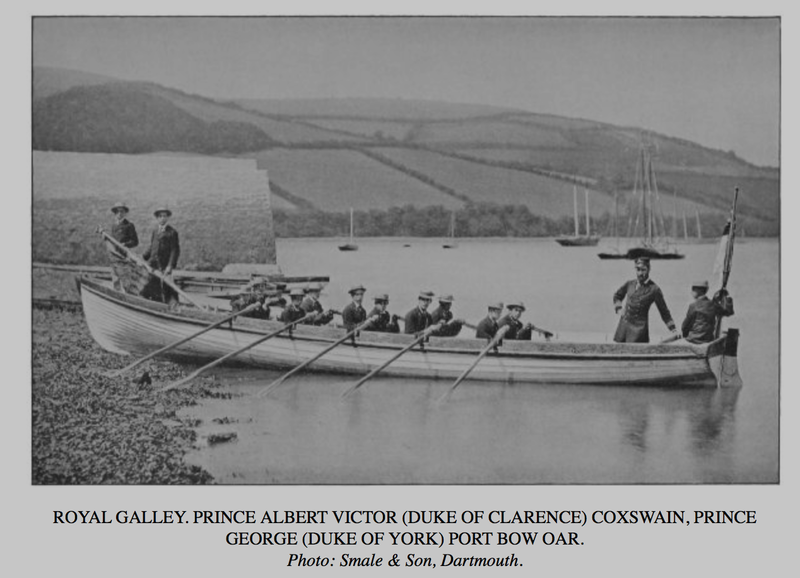 A strong, tall man, George was a skilled yachtsman, a good cricketer, and played excellent golf. He became active in the Royal Adelaide Golf Club, was a founder of the National Trust of South Australia and was heavily involved in Cottage Homes, a charity for the elderly. From 1956 to 1964 he was Private Secretary to the Governor of South Australia. Besides his pension as a retired general, in 1946 George had received a large inheritance from an unmarried friend of his mother, Eva Kennedy, daughter of a British merchant in the far east who had held property in Shanghai, and in 1955 he was a founding Director of Santos Ltd [South Australia and Northern Territory Oil Search], which became one of the largest mining companies in Australia. George left the Board in 1978, but continued to hold a substantial number of shares. George and Katherine were friends of Kathleen and Geoff: George and Geoff were partners at bridge in the Adelaide Club, and after Katherine died George came often to their house for dinner on Sundays. Soon after Geoff’s death, Kathleen resigned from the committee of the Mothers and Babies, explaining that she felt it would not be right or fair to be involved with and possibly comment upon the work of his successor as Medical Director. In 1963, however, she had become a member of the Board of Management of the Adelaide Children’s Hospital [now the Women’s and Children’s Hospital], and she held that position until 1979. She was also on the committee of the state branch of the Australian Institute of International Affairs, and was President from 1971 to 1973. Twelve years the elder, George was a man of traditional style, and while she maintained many of her own interests Kathleen was quite prepared to share his. With his encouragement, she took up golf again, though not at the same level as before, and they were both active members of the Royal Geographical Society of South Australia. Kathleen also shared George’s involvement in the National Trust: in 1964 she had been one of the organisers of an exhibition of “Gold and Glass;” the display included five Melbourne Cups and two Caulfield Cups which had been won by South Australian horses, accompanied by the owners’ colours, and it attracted visitors who might otherwise have had little interest in the work of the Trust. One concern she did not share, however, was religion. George was a committed member of the Anglican Church and a lay member of Synod, and Geoff had also been a strong Christian; but though Kathleen had been confirmed when she was in England in 1924 she became an atheist and remained so all her life. 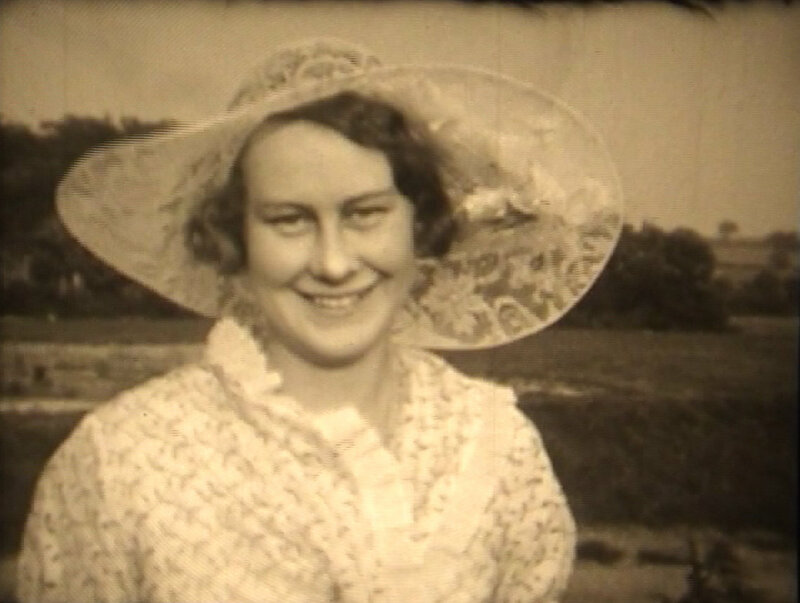 She was nonetheless tolerant, and would attend Christmas services without complaint; on regular Sundays, however, she would drive George to the church in Adelaide and then go on to visit Geoff’s younger brother Adrian (1919-1993), who had been injured at birth and was permanently in a mental hostel. Despite differences, the marriage was happy and successful. Kathleen remarked on the importance of mutual tolerance, but it seems clear that she found George to have some attributes of her father, and she was quite prepared to support and assist him, notably in later years by driving him to appointments and then waiting for him in the car. For his part, he was always generous and agreeable to Rafe and Christa, his step-son and daughter-in-law: when the family played golf together he was generally paired with Christa, as it was felt that her presence and his natural courtesy would restrain him from expressing his full indignation when a stroke went astray; he had at one time scored a hole in one, and he was an extremely good putter, though annoyingly less accurate as he grew older. He also became very fond of Rafe and Christa’s son Mark, who would travel to Adelaide by himself to spend holiday time with Kathleen and George. George and Kathleen made some journeys overseas, notably in 1978 when they went on an extended tour to visit old friends of George in England, some of whom he had not seen since the First World War. After their return, however, George suffered from increasing medical problems, and he died on 26 August 1980; despite his illness, at the time of his death he was preparing a paper for the Geographical Society on the life of Charles Todd, director of the Overland Telegraph in the 1870s– it was presented posthumously. George left the bulk of his property to Kathleen, with some special bequests to charities and sporting associations with which he had been connected, and a large sum to the Regimental Chapel for the York and Lancashire in Sheffield Cathedral, England. His military orders, decorations and other insignia went to Kathleen’s grandson Mark. 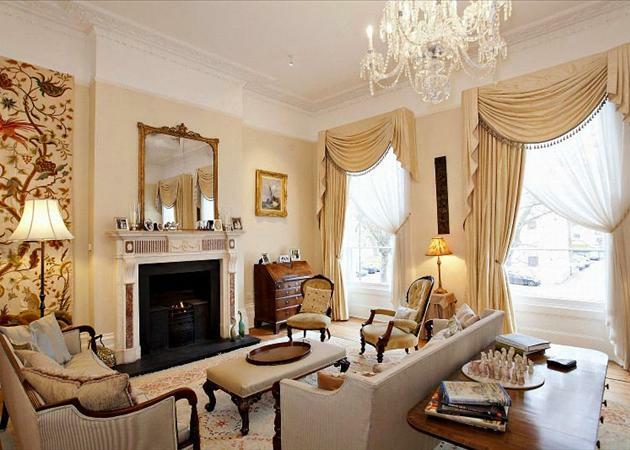 Kathleen did not marry again, but she continued to live at Tennyson for another twenty years. She made a number of trips overseas, once to China in 1981, with Rafe and Christa and their daughter Anne, followed by some months stay with Nancy Movius in Boston. She visited the United States several more times for similar lengthy visits, and was also in France, where Hallam Movius had a major archeological site at Les Eyzies in the Dordogne and where a museum was established in his honour. Kathleen also travelled many times to England to see the theatre in London, and to stay with Rosemary and Rafe at Whitmore. 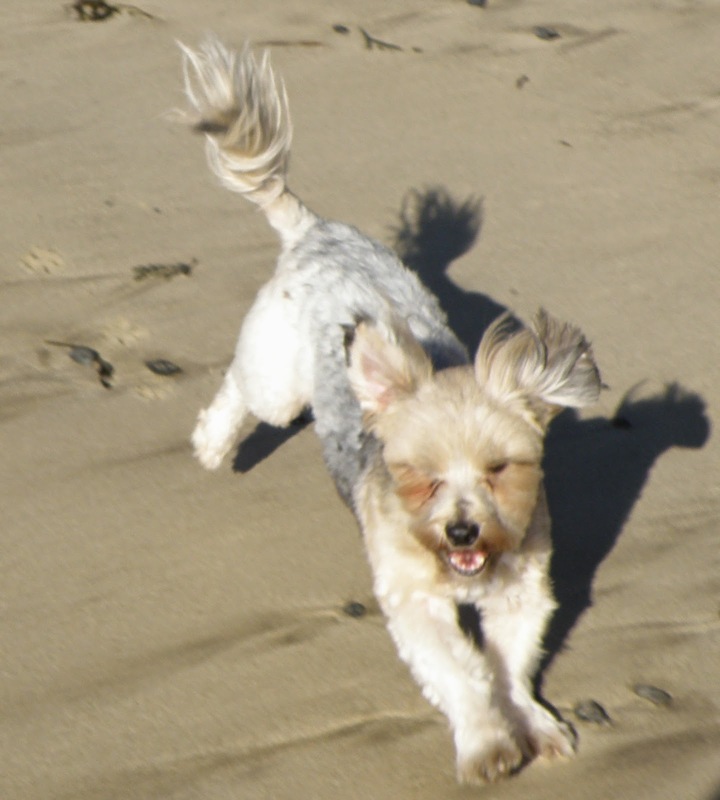 In Australia, Kathleen played bridge and did crosswords, and she continued to have dogs and a cat – the dogs tended to come from the RSPCA or the Lost Dogs Home, and were rather large and more than she could easily handle: there were several discussions with local Council officers about activities on the beach, but none had long-term effect. Sunday lunch became important, always at the golf club, where Kathleen was now a life member, and always accompanied by one or more friends from the neighbours at Tennyson. The same honest and generous nature that had encouraged people to give her affection and responsibility in her various organisations now found her close companionship in the small local community of Tennyson, and she gained a great deal of social and practical support. By 2000, however, as Kathleen was in her nineties, life became increasingly difficult. The house was old and needed repairs, and she was less able to organise it. Worse still, after almost eighty years she no longer held a driving licence, and though many neighbours took her shopping and on other expeditions, and she could travel to Adelaide by train, she was a good deal more restricted than before. In 2004 she asked to come to Batemans Bay to be near to Rafe and Christa, and she took residence in a nursing home, Edgewood Park; at first she was in her own apartment, with her dog Josephine, but later moved to high care. She enjoyed the social life – far more than anyone had expected – she gained many new friends among the other residents, and she was very well treated by the staff. 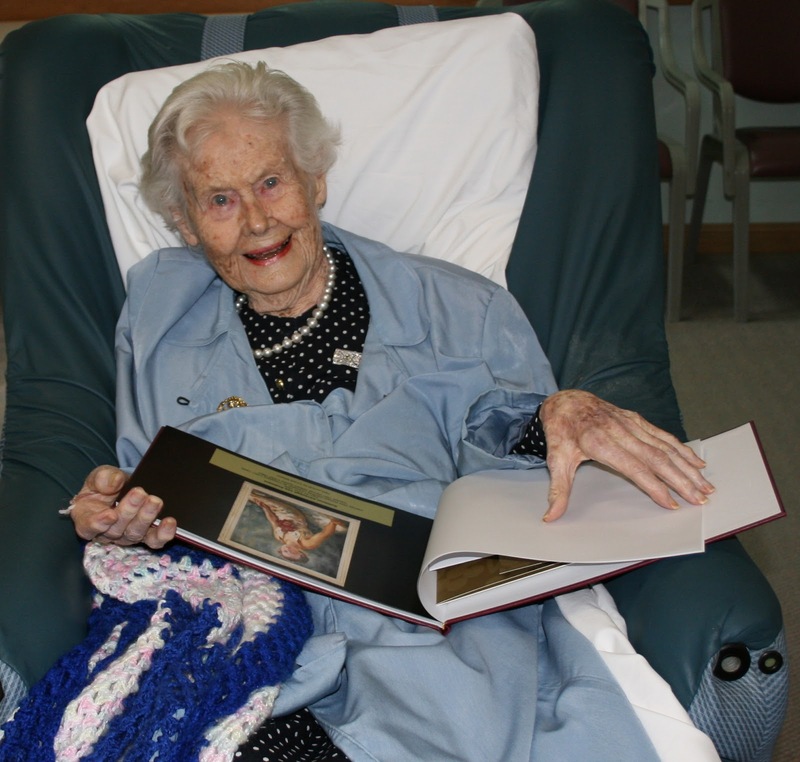 Kathleen celebrated her hundredth birthday in 2008, with Rafe and Christa, Anne and her husband Greg Young, Mark and his wife Kim, and five great-grandchildren: Peter and Charlotte Young; Nicholas, Alex and Sophia de Crespigny. The following years, however, were for the most part spent asleep, with little memory and increasing physical weakness. 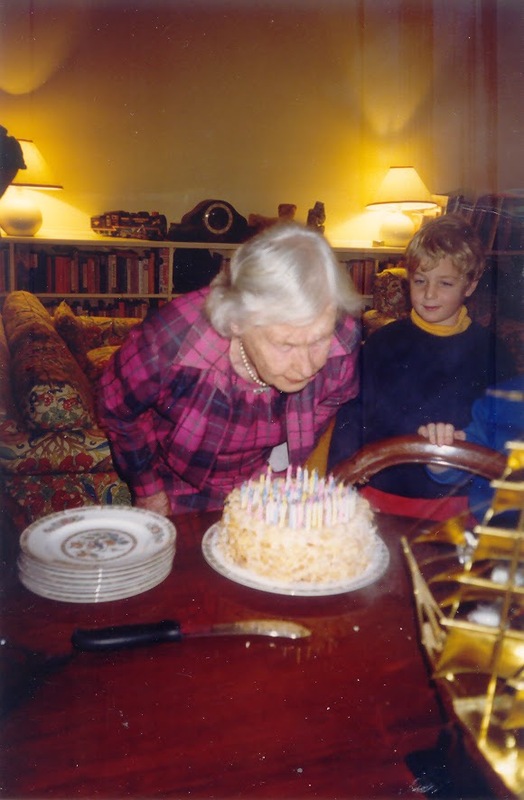 She died on 11 June 2013, a few days before her 105th birthday. I am very fond of my dog Toby. Perhaps learning about him will help you understand me. 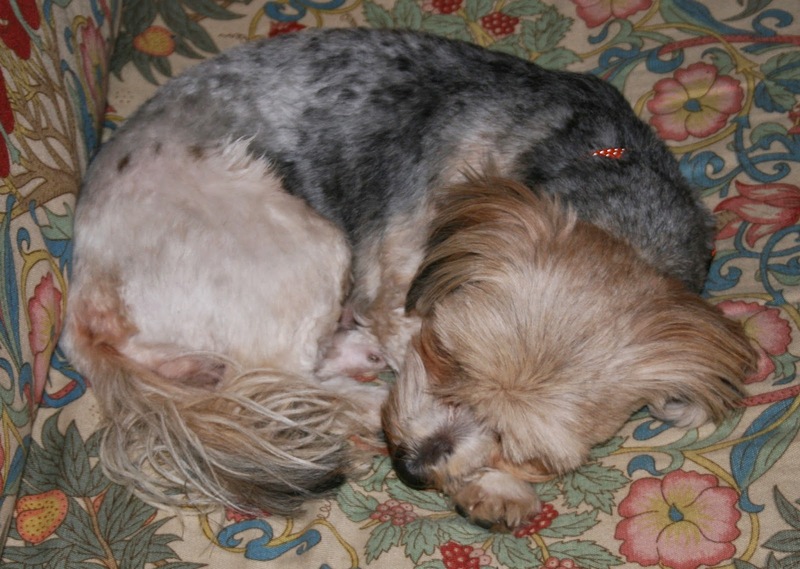 Knowing about my family’s pets would give me a better understanding of my family history. 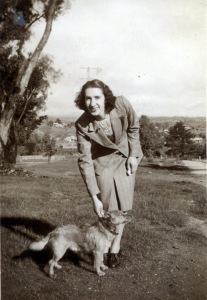 This is a picture of my mother-in-law Marjorie with her family’s dog at Castlemaine. All my Irish ancestors had left Ireland before 1866 and so my own research does not benefit from the Irish dog licence registers, which can be searched through FindMyPast. The annual dog licence was first collected in 1866 in Ireland and on average there were 250,000 registrations a year. If you have Irish forebears in the late nineteenth or early twentieth centuries, it could be worth looking whether they had any pets registered. 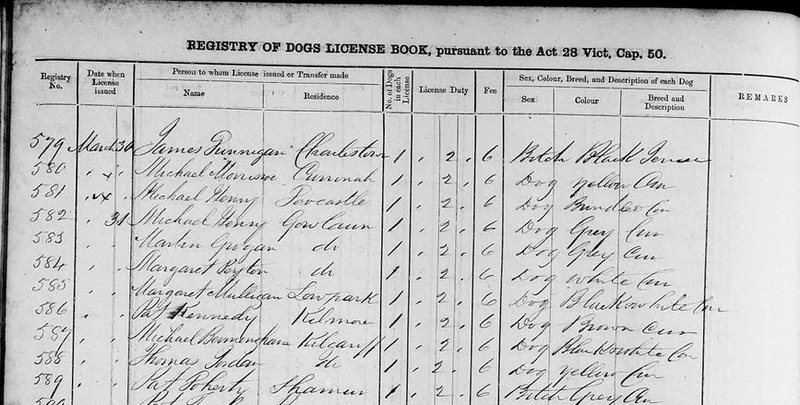 An example from the Irish dog licence records digitised by FindMyPast – an extract from records for Lowpark Court, County Mayo, 1882. I found it fascinating to see the different breeds. Not a ‘Cavoodle’ or ‘Golden Retriever’ can be found. 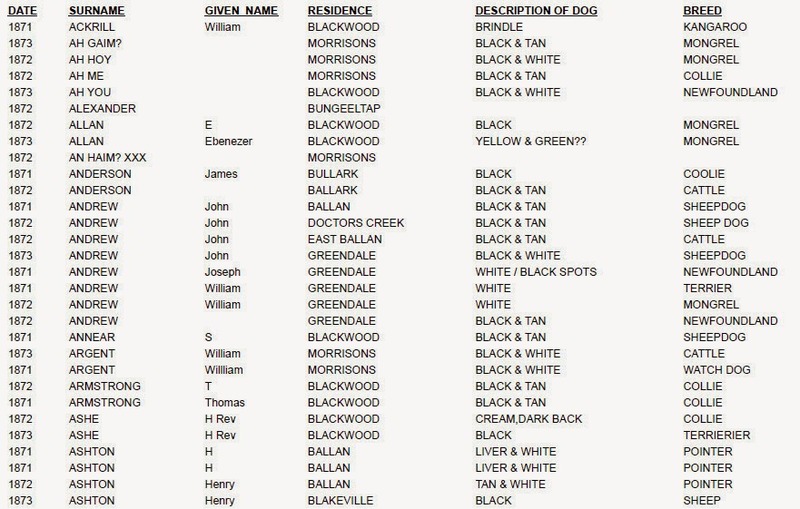 Some dog licence records for Ballarat are still extant but they are yet to be indexed. Fortunately, though, they haven’t been thrown out and so one day some work can be done with the records. They are held by the City of Ballarat council. You can see why this information would be useful for family historians. The receipt gives the surname, address and a description of the dog. My dog Toby’s licence registration fee is due this month. The City of Ballarat have his name misspelt on the computer. I will have to fix the error. I can’t be sure though that in the future the computer records will be available for family historians to find. Toby was a rescue dog who joined our family in June 2009. These pictures are all from that month. The last picture is Toby seeing the sea for the first time (we think he hadn’t seen the sea before). 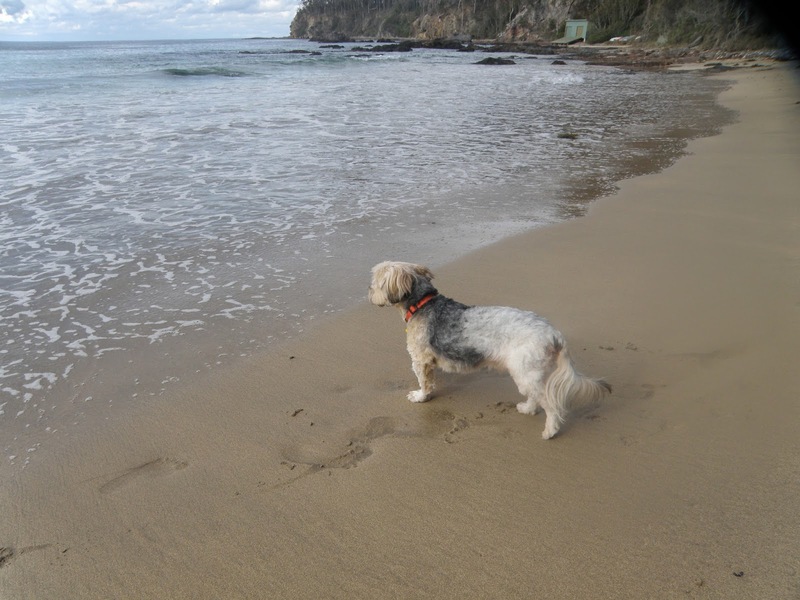 He loves romping on the beach but discovered that he can’t drink seawater. In this picture you can see his dog licence tag hanging from his collar. 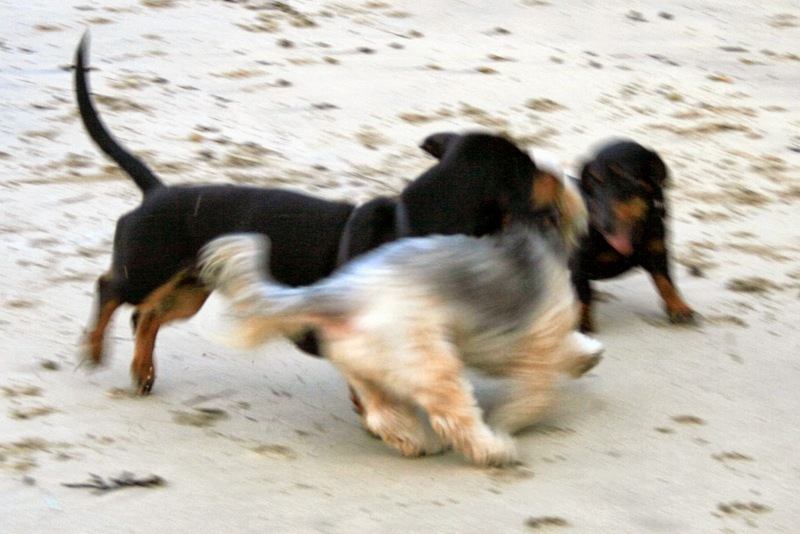 This blur of dogs, our dog Toby playing on the beach with my parents’ dogs Max and Maurice, reminded me of how little we know about our forebears. We are pleased when we are able to record public facts about our forebears, but we usually know very little about them as people. What were their hopes and fears, what gave them pleasure and pain? The dry facts remain; the things that matter are quickly lost. I am sure that many of my ancestors loved their pets, and it’s sad to think that death and the passage of time removes even the name of the family dog. But here I have to finish this post because Toby, the fawn-and-grey chap in the foreground, says it’s time for a walk. Constantine Pulteney Trent Champion de Crespigny was born at St Malo, France, on 5 May 1851, the son of Philip Champion Crespigny and his wife Charlotte Frances née Dana. He was christened on 28 May at the Anglican Chapel, Saint-Servan-sur-Mer, which is two miles from St Malo. 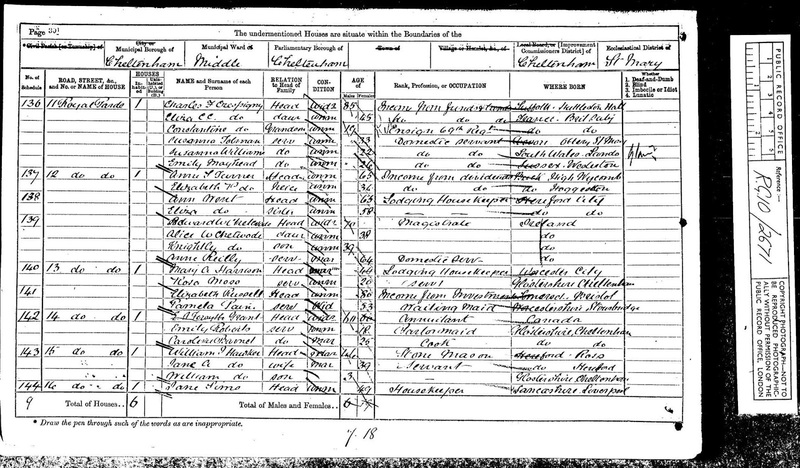 He was the third child of the couple; his older sister Ada was born in 1848 and his brother Philip was born in 1850. Not long after his birth his parents emigrated to Australia from England with their two older children. They left Constantine in England in the care of his grandparents and aunt. The Champion Crespigny family embarked from Plymouth on the Cambodia on 3 December 1851 when Constantine was not yet 7 months old. They must have determined he was too small and not strong enough to make the journey. A thousand thanks for your nice little letter which delighted me. Little Conny could not read them but Charlie learnt them by heart and repeated them to the little darling. I hope Ada has received the little books I sent her by this time and that you have both had a ride in Papa’s new carriage. Grandpapa will send you some seeds for your garden by the Great Britain Steam Ship and I hope you will have as much pleasure in growing your mustard and cress as Charlie has. Conny and Charlie are always talking of you and longing to have you both as playfellows. 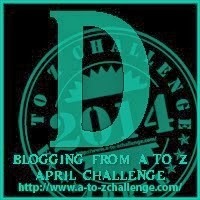 Do send me word what I can send you my little darlings to amuse you. I am very glad the boots fitted so well. Goodbye to you both. Conny and Charlie send you many kisses and I am ever your Affte. Gd. Mama. Gd. Papa and Aunt send you many loves and kisses. The letter is from Eliza Julia Champion Crespigny née Trent (1797 – 1856), wife of Charles James Fox Crespigny (1785 – 1875), and mother to Philip senior. Loup Loup was a nick name for Philip junior and means wolf. Charlie is the cousin of Constantine, Charles Stanley Champion Crespigny (1848 – 1907), the son of Philip’s older brother Charles John Champion Crespigny (1814 – 1880). The aunt was Philip’s sister, Eliza Constantia Frances Champion Crespigny (1817 – 1898). It was Constantia who spent much time caring for young Con. … The care she [Philip’s sister Constantia] takes in your dear Con and the delight she has in him is not to be described. It will be a great loss and pain to us to part with him when the time comes that he must go to school. He says positively that he will not go till he is eight and gets on so well with us that it will be time enough. I much wish to live long enough to see him grow up and started in the world but this is hardly to be expected. I must give you Conny’s last remark to Constantia just reported: He said: “Grand P was sent to school at 5 years old because he was not loved. Now I am so much loved you will not bear to part with me at 8. You will not know how to let me go to school.” The fact is I was so hideous they could not bear the sight of me and till 5 I was left always with servants in the country. 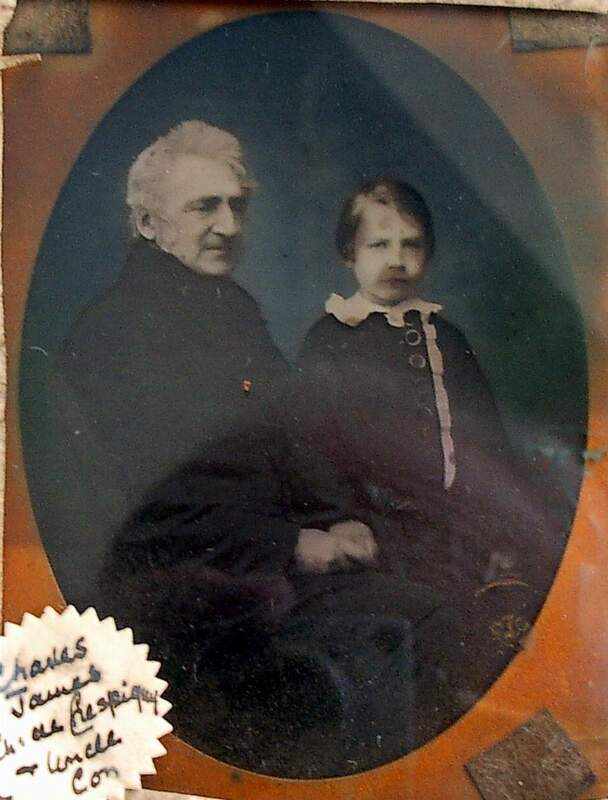 From about 1858 there was a photograph of Con taken with his grandfather. The original is in my father’s possession. I beg you will write to me next time. I am sorry Mama had rheumatism when you wrote. Charlie has got the measles. I have seen a panorama * of Delhi with the Massacre of Cawnpore! My Aunt did not go as she could not stand that, so I went with Payne. 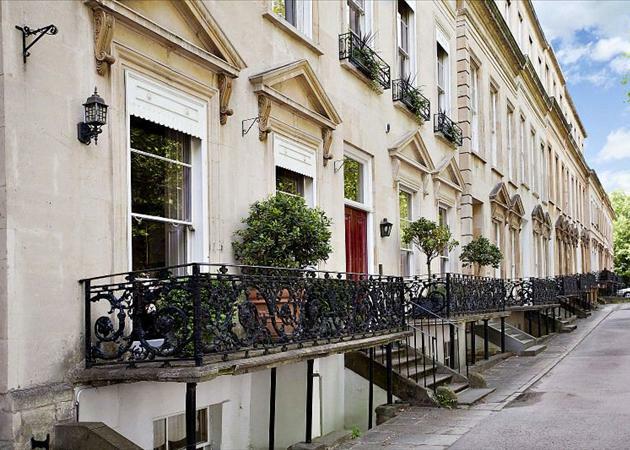 In 1861 Con was living with his grandfather, aunt and three servants (cook, parlour maid and house maid) at 11 Royal Parade Cheltenham. I was delighted to receive your very nice note and to read such a cheering and pleasant account of you all and I am sure it must fill you with joy to see your dearest Papa’s health so wonderfully improved. I hope both he and your dearest Mama continue well. It was also a great comfort to me to find you were all getting the better of that dreadful whooping cough. Your dear brother Con is not looking well just now and I shall be glad when we can go to the sea or somewhere for a change next month and when you receive this I hope we shall be not here. Perhaps we shall go to Malvern as that is much nearer than the sea-side and the mountain scenery is very beautiful. Con would enjoy it I think even more than the sea. A young friend of ours at College here has asked Con to take a long walk with him on Saturday and he is looking forward to it with great joy! The young Collegian is much older than Con who is rather proud of being patronised by him but I don’t much like Con going out in the scorching sun and shall persuade them to put off their walk to the evening. 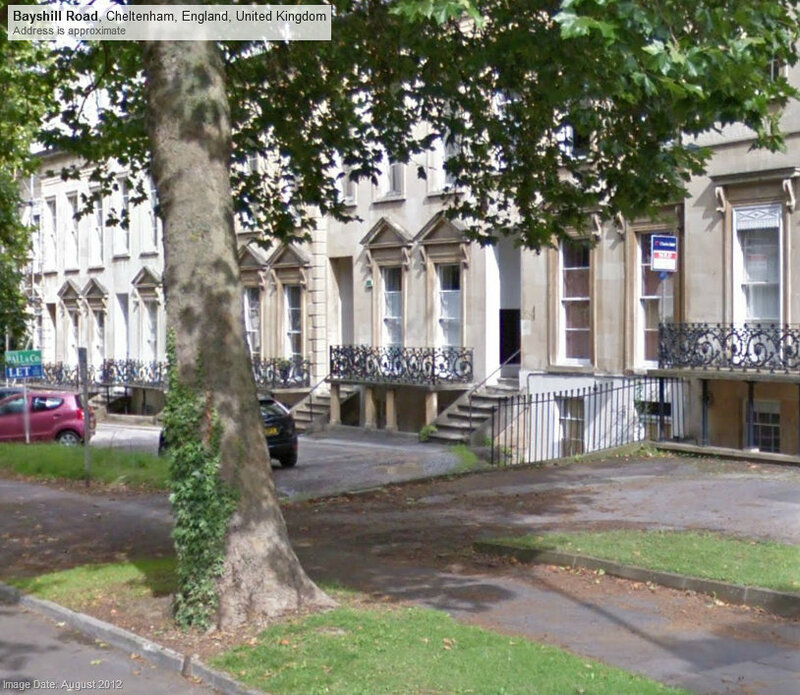 In 1871 Con was still with his grandfather and aunt at 11 Royal Parade Cheltenham. There were still 3 servants, one of whom, Susan Tolman had been in the household ten years ago. Con was an ensign with the 69th Regiment. Lieut. Constantine Trent Pultenay Champion Crespigny from 69th Foot to be Lieut from Charles Stanley Champion Crespigny who retires from 41st Foot. Less than a year later the London Gazette of 18 October 1872 page 4939 notes the retirement of Lieutenant Constantine Trent Pulteney Champion-Crespigny of the 41st Foot, “receiving the value of his commission” dated 19 October 1872. From Letter 10 below, it appears he suffered from tuberculosis. Con’s grandfather died 4 March 1875. Con joined his parents and siblings in Australia. 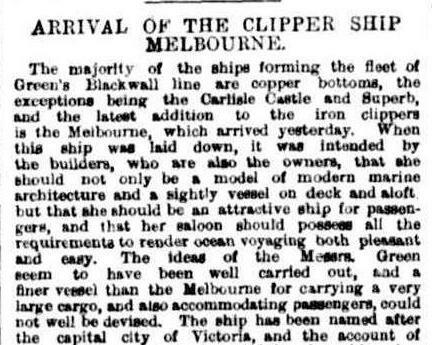 He arrived in Melbourne on 16 November 1875 on the iron clipper ship Melbourne which departed London on 17 August. It was the maiden voyage of the ship and a report of the ship and the voyage appeared in The Argus of 17 November 1875 on page 4. I have not written to you since your marriage but I very often think of you all and especially of you and your dear Frank, and believe you are all very dear to me for yr loved parents’ sake tho’ so far away and unknown. Con being amongst you seems to bring you all even nearer to my heart than ever, and you, the youngest of all my nieces, yet the first to marry, you of whom your dear Mother has so often written in deep sorrow and anxiety when you have been laid upon a bed of sickness, – you can hardly imagine the tender interest I take in you, or how earnestly I wish and how fervently I pray that your married life may be blessed with true happiness, for dear Con assures me your husband is one of the best fellows he ever met and sure to make you happy! And the satisfaction and comfort yr parents feel in seeing their darling married to one they have so long known and esteemed must, I think, render yr happiness as perfect as it is possible to be in this world. Con had been enjoying himself immensely in your house when he last wrote to me. It was such a pleasure to him to see his little sister in her dignified matronly character! Poor Con! ‘Twas a sad fate for him to lose his profession and to be an idle man at 25. But the love of parents, brothers and sisters which you have all so freely and fondly bestowed upon your newly imported brother, has brightened his life, hitherto so sadly clouded, and if only his hopes of employment are realised, I trust his life may yet be a happy and useful one. I feel so grateful to everyone of those who have been so kind to Con and I know how kind and hospitable your father-in-law has been and how he has enjoyed himself at Eurambeen (I don’t know if I spell the name right!). I suppose Con rides with you sometimes when you are together. Mount him on a good horse and he is at the summit of felicity! He has told me of the rides he has enjoyed. He must be dreadfully missed in your old home, particularly, I should think, by Vi, as she is nearest yr age. I hope she enjoyed the ball at Woolaston to which she was enabled to go by yr dear Frank’s kindness. Mr. T. C. Crespigny has been appointed truant officer for the St. Kilda district. Mr. Crespigny’s appointment as truant officer, announced in Friday’s Argus, includes the district of Prahran as well as St Kilda. 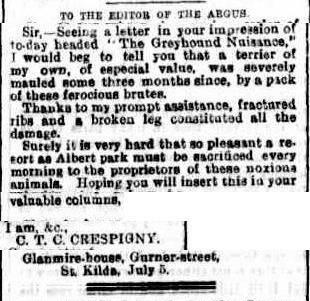 In July 1877 Con wrote a letter to the paper concerning an attack on his dog, a terrier, in Albert Park. He was living in Gurner Street, St Kilda. 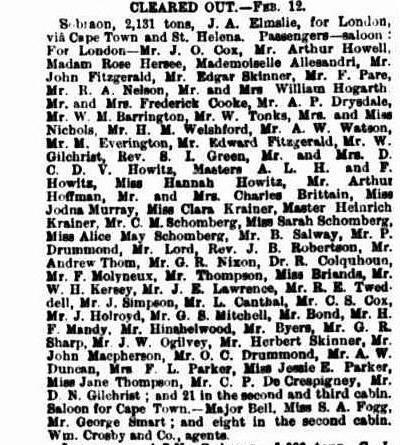 The letter was published by The Argus on 7 July 1877 page 8. The Sydney Morning Herald of 10 August 1880 reported the arrival of the Wotonga at Sydney on 9 August having sailed from Melbourne. Passengers included CP Crespigny and P C Crespigny. This may well have been father and son, C P being Constantine Pulteney, or possibly Con was accompanied by his older brother Philip. This appears just to have been a visit to Sydney. CP Crespigny left Melbourne on board the Sobraon in February 1881. Con wishes me to tell you how glad he was to get your letters and how much he regrets his inability to answer them. He has been very weak and ill ever since his return. A few weeks ago there was some slight improvement. The intense heat we had seemed not only to benefit his lungs but to relieve his fever. Certainly he ceased during those extremely hot days to suffer from daily attacks of fever, tho’ in some ways the intense heat tried him severely. But with a sudden change in the weather and fall of temperature his fever returned with increased severity. One of the lungs got worse and had to be treated with repeated blisters. It is now better but the daily attacks of fever are terrible, lasting sometimes 8 hours during which he suffers acute headaches, shortness of breath, cough and nausea. He seems sometimes ready to die, so very ill is he. Con is only able to take a short drive for little more than half an hour on his best days when he feels his best. Just one line to enclose 2nd half £5 notes. I hope you recvd first half all safe in last mail.5 My heart aches for yr poor Mother who would now, as I believe be receiving my letter of 25 January, telling her how near death her darling was – tho’ I scarcely knew that he must be taken from me the very next day. I miss him more and more and long to go to him. God bless you and your husband, dearest Rose. The verse under Constantine’s inscription is Matthew 11:28: Come to me, all you that labor and are heavy laden, and I will give you rest. On 5 March 1882 Constantine’s nephew, the second son of Philip, was born at Queenscliff, Victoria and named Constantine Trent. The originals of these letters were in the possession of my grandfather Sir Constantine Trent ChC/CdeC. After his death in 1952, his second wife Mary Birks nee Jolley, Lady de Crespigny, had them copy-typed by Ms W M Walsh, and distributed the copies among members of the family. I obtained a set through my father Richard Geoffrey CdeC, Constantine Trent’s elder son. It seems probable that most of the letters were collected by Ada Champion Crespigny (1848-1927), eldest daughter of Philip Robert ChC (1817-1889), for many of them are addressed to her. 1. Constantine ChC, born in May 1851, was now just under 8 years old. The asterisk has a note by the transcriber: from here adult writing by Charles James Fox ChC. The siege of Cawnpore [modern Kanpur] concluded on 24 June 1857 with the slaughter of the British defenders as they sought to leave under promise of safe conduct. Panoramas were common forms of exhibition at this time. The spectators entered a large room and the event was displayed, normally in two dimensions, on the surrounding walls, aided by special lighting. 6. Tombstone inscriptions from http://www.stpeters-leckhampton.org.uk/ retrieved 7 April 2013. M11 Chest-tomb, on base, inward sloping sides, worn, once painted. Sc: LEWIS.Sc. DIED AT CHELTENHAM 4TH MARCH 1875. ALSO OF CONSTANTINE TRENT PULTENEY CHAMPION CRESPIGNY. LATE OF H.M. 69th REGT BORN 5TH MAY 1851. DIED 26TH JANUARY 18–. 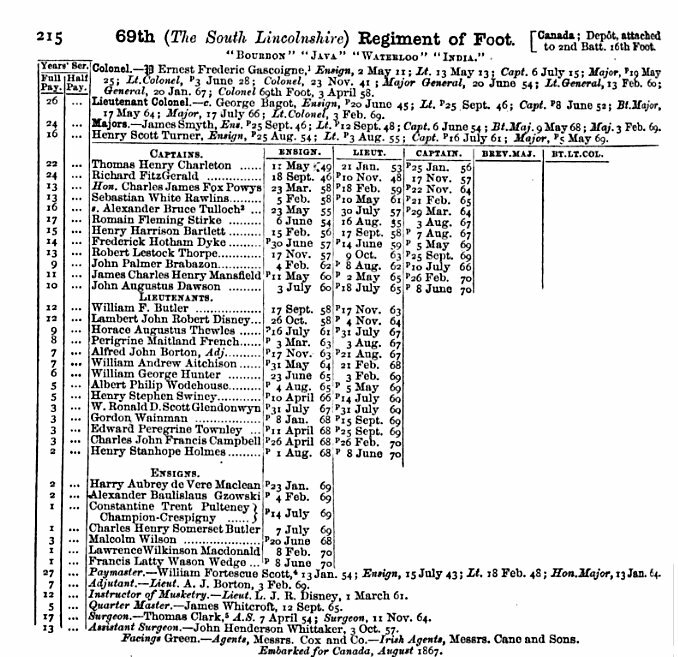 WHO DIED THE 17TH DAY OF JULY 1855, AGED 59 YEARS. PLEASANTNESS, AND ALL HER PATHS WERE PEACE.” PROVERBS. III.17. – – – – – – – A FUTURE LIFE – – – – – – – – – -SAVED – – – – – .